University of the Thai Chamber of Commerce (UTCC), Asia’s leading business university based in Thailand, announced today it has become an authorized Alibaba.com e-commerce training center in Thailand, following its recent partnership with Alibaba.com, a leading B2B marketplace for global trade. Both organizations have come together in their mission to accelerate e-commerce growth in Thailand and help Thai SMEs position themselves in the global market. Several collaborative programs, including “Training the Trainers” have already been implemented since the partnership was formed in August 2016. A team of Alibaba.com personnel have coached UTCC faculty members in the School of Business, the School of Science and Technology, and others, enabling the latter to become certified Alibaba.com trainers who are now ready to train Thai SMEs, entrepreneurs and UTCC students to run businesses on Alibaba.com. A 3-day E-commerce training by Alibaba.com is going to take place every other month starting from November 2016. With these certified trainers, UTCC has the ability to train more than 5,000 individuals per year, helping create more e-commerce-minded entrepreneurs and equipping more Thai SMEs to expand businesses internationally. “We are very excited about the progress of our partnership with UTCC and their trust in the Alibaba.com platform. We see great potential in products from Thailand and really look forward to helping more Thai SMEs compete effectively on the global stage through e-commerce,” said Jerry Wu, Thailand Country Manager of Alibaba.com. In August 2016, UTCC and Alibaba.com agreed on several educational collaborations based on a memorandum of understanding (MOU) between the two parties. 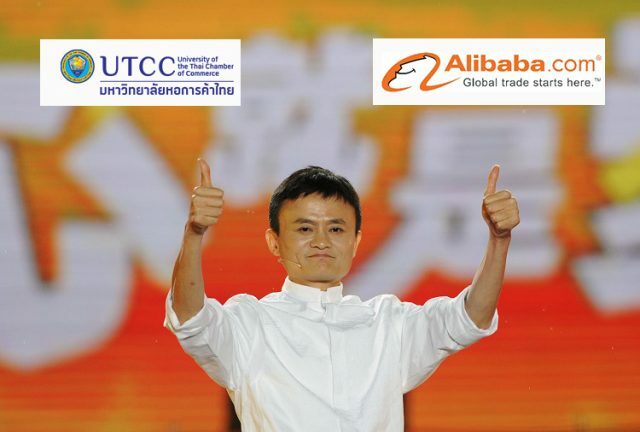 In addition to the “Training the Trainers” program, UTCC and Alibaba.com are working together to offer interested Thai SMEs “Alibaba dream trips” to Alibaba.com’s home city of Hangzhou, China.UTCC is the first Thai university to sign an MOU with Alibaba.com. University of the Thai Chamber of Commerce (UTCC) is a leading university in business education in Asia. Currently, UTCC is providing unique learning experience to more than 19,000 students including international students from over 30 countries worldwide, such as China, Vietnam, Myanmar, Maldives, USA, etc. The university has been recognised as a leader in integrating technology in education by emphasising its Digital Hybrid Learning System. The first business of Alibaba Group, Alibaba.com is a leading English-language wholesale marketplace for global trade. Buyers on Alibaba.com, who are located in more than 200 countries and regions all over the world, are typically trade agents, wholesalers, retailers, manufacturers and SMEs engaged in the import and export business.